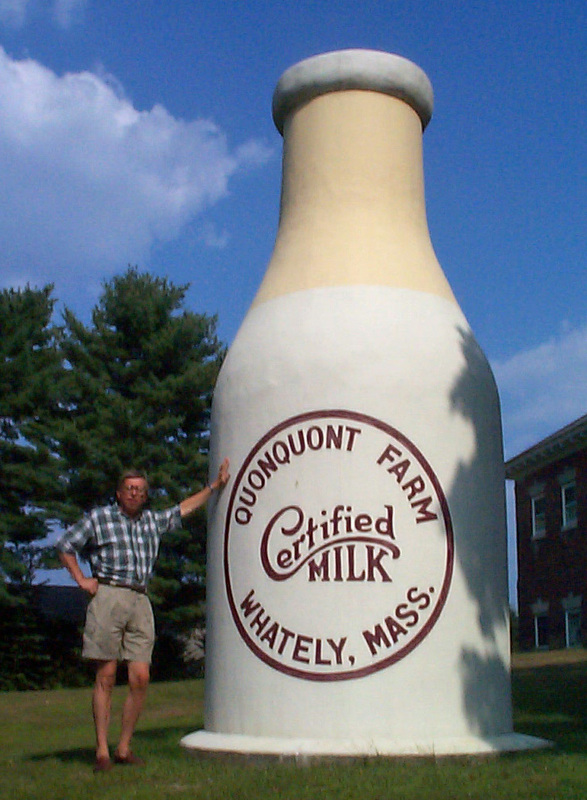 The Rest of the Food – Page 3 – The Home of My "Big Things"
Got this Big Concrete Milk Bottle up in Whately, Mass. Just at the northern Town border is the Whately Central School office with the bottle out front. I don’t know why the bottle is there. Just as we were taking this photo the town policeman pulled in but didn’t ask what was going on. Must be a lot of people getting their picture taken with the milk bottle. 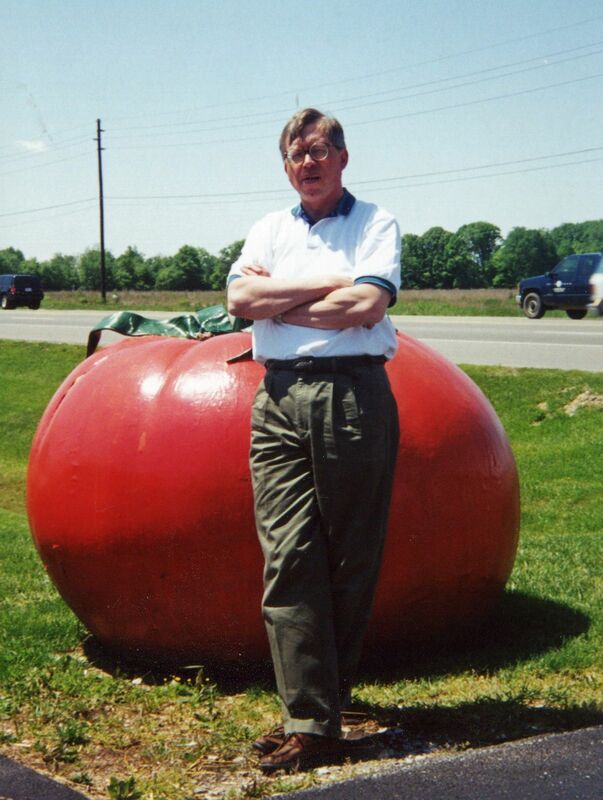 Here’s a good size tomato that I found out on Rockville Road west of Indianapolis. Debbie and I grabbed this photo on the way back from Andy’s graduation. Meredith and I were in Bentonville to see our buyer Sarah at Wal-Mart. The visit went well and we went across the street to store #100 to check out the plan-o-gram. This is one of the best stores since it is right across from the Home Office (Wal-Mart speak for headquarters.) 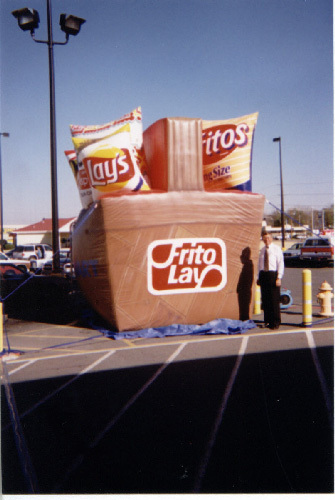 On our way in to the store we spotted this Big Snack blow-up. It was a good day – good customer call – good photo op. How ’bout some catsup to go with those fries. 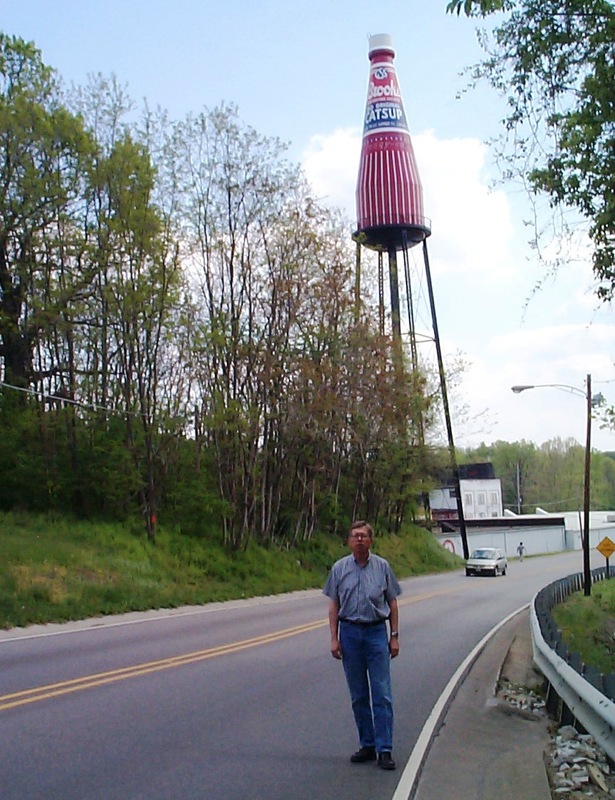 The famous Collinsville catsup bottle water tower. These folks are serious about this landmark. It even has it’s own web site.. Check it out and tell ’em Jim sent you. There is nothing insubstantial about these fries however. I think this is the only shot where I did a retake at a later time since the original had the photographers finger in front of the lens. I am better dressed here too. 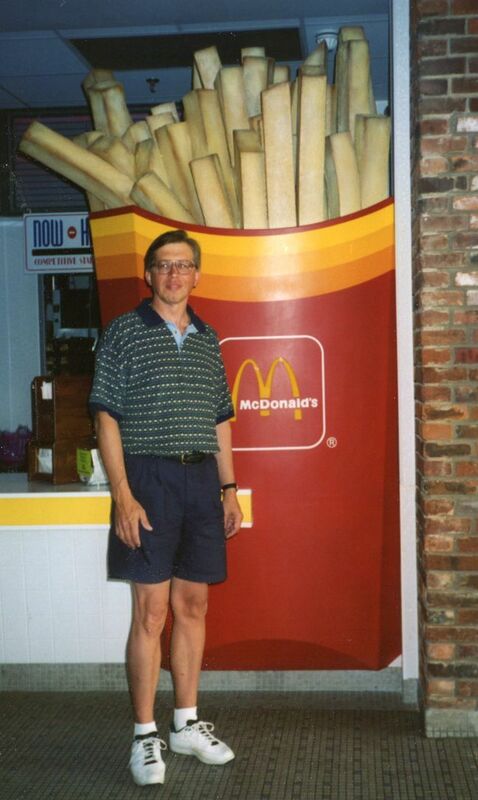 Find these fries at the Manchester Shopping Center in Des Peres, MO. This was a planned shot as a result of an early bird dog report. 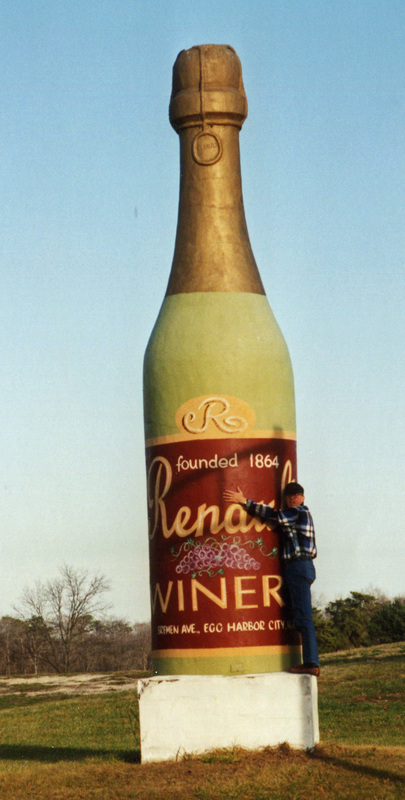 This wine bottle advertising Renault Winery is on Route 30 in South Jersey. Sometimes people slow down when we’re taking one of these pictures, that was the case here. I think just about everyone has seen this donut somewhere or other. But that didn’t stop me from finding my way to Southern California. 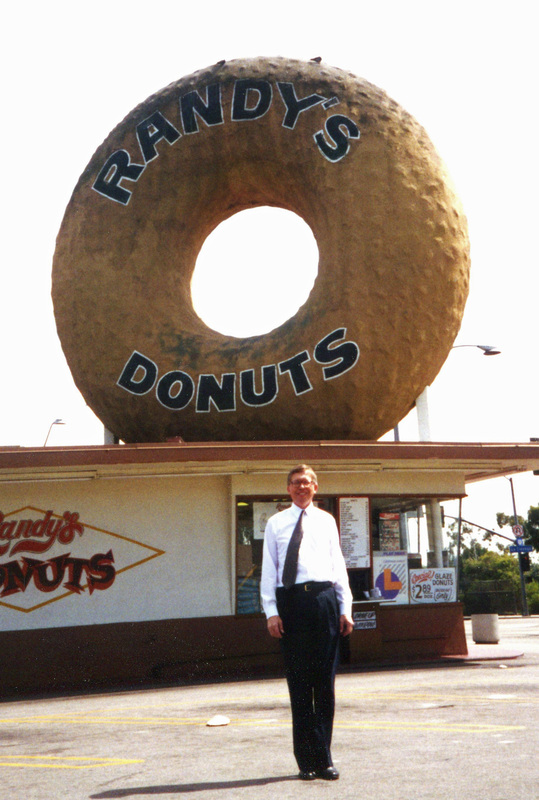 Located on Manchester Boulevard near LAX this Randy’s Donuts may be one of the most recognized donut shops in the country.